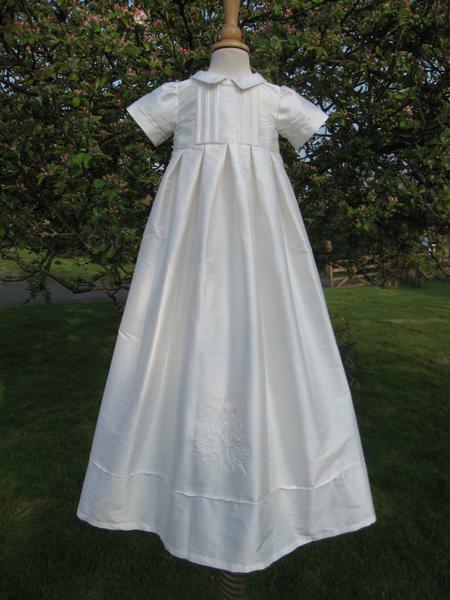 Little Doves is proud to announce a wonderful new range of christening gowns that will add a lovely touch of style to any christening. 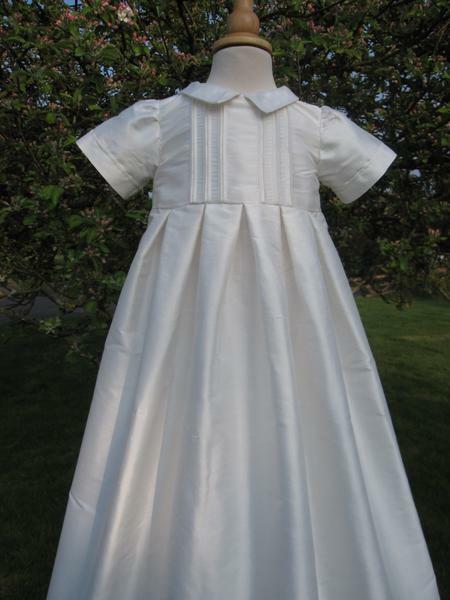 The Birth Flower Christening Gown is created in 100% pure silk dupion and has classic lines. 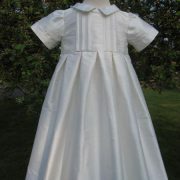 The bodice is decorated with vertical bands of pintucks and satin ribbon. 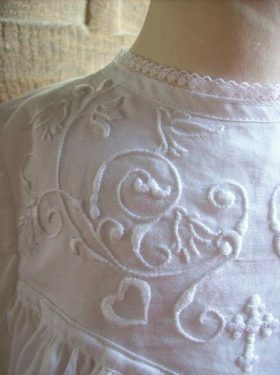 Short sleeves with cuff detail and a small collar compliment the style. 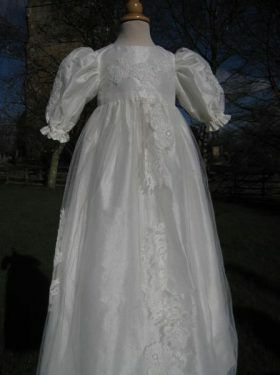 But the beauty of the gown lies in the skirt with its decorative hand embroidery that adorns the skirt front. 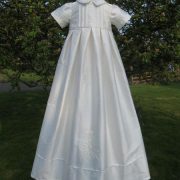 A flower is carefully embroidered using a variety of stitches to give this gown the Wow factor. 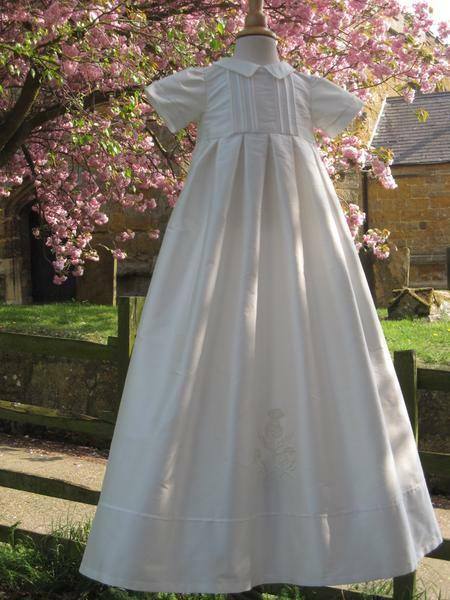 A variety of flowers are available for embroidery, why not chose the birth flower of the baby or a flower that is special to you in some way. 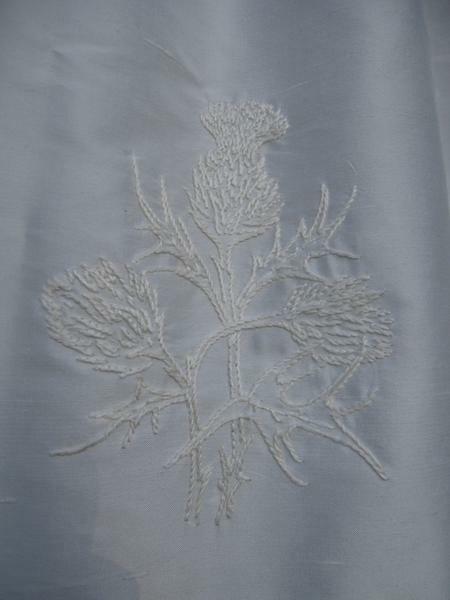 The gown shown features a thistle and could be ideal for a baby with Scottish roots. 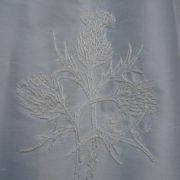 All the above flowers can be embroidered as well as many many more. Please contact Linda for more details. 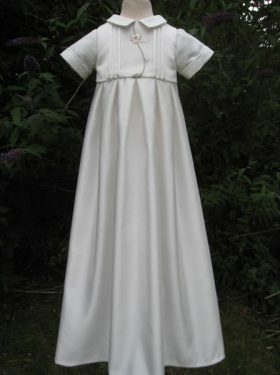 As with all Little Doves gowns, matching bonnets, bibs, booties, caps and shawls can also be created.